Why are people so interested in family history? Genealogy Basics In 30 Minutes is not a comprehensive guide. Nevertheless, in a single reading you will be able to understand some important research basics that will serve you well as you embark on a journey to figure out the origins of your family. 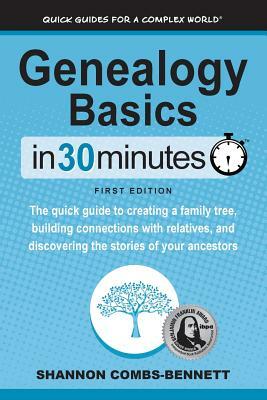 Creating a strong family tree will not only satisfy your own curiosity, but will also serve as a record to share with relatives and future generations Genealogy Basics In 30 Minutes is a winner of a silver Benjamin Franklin award from the Independent Book Publishers Association. For more information about this title, see the companion website.